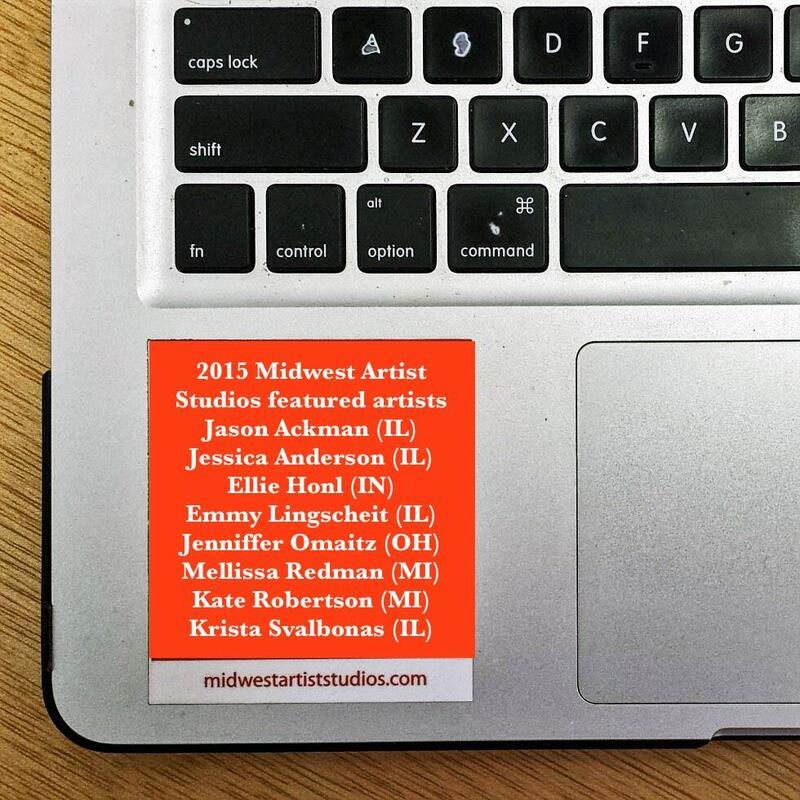 The Midwest Artist Studios Project is proud to announce its 2015 featured artists. They are Jason Ackman (IL), Jessica Anderson (IL), Ellie Honl (IN), Emmy Lingscheit (IL), Jenniffer Omaitz (OH), Mellissa Redman (MI), Kate Robertson (MI), and Krista Svalbonas. We were impressed with their perspective on art education today and the work that they are producing. The final interview took place via multiple Skype sessions. Although they were given time to make a decision whether or not they would be interested in participating in this project they all said, “Yes!”, immediately. The MAS Team will be traveling through the Midwest later this summer. We are looking forward to getting to know these artists better as the summer progresses as well as being invited into their studios. Some new additions to the MAS Project will be View from the Road by the MAS Team and a special studio visit with Emmy Lingscheit at the John Michael Kohler Arts Center Arts/Industry Program. Check out our featured artists’ work by clicking on their names listed above. This 2015 MAS Project is supported by a grant from the National Art Education Foundation, Kohler Foundation, Inc., and the Wisconsin Art Education Association.